The Marketing team under the leadership of Neil Furman has put together a system of strategies to help clubs build and retain their membership. They have also developed some promotional materials to give back to its members! Click here to read the strategies and please feel free to print out and pass among members of your club. We also welcome feed back and any other ideas you may have. Contact Neil at the bottom of the link or any member of the Northeast Division board with your ideas. 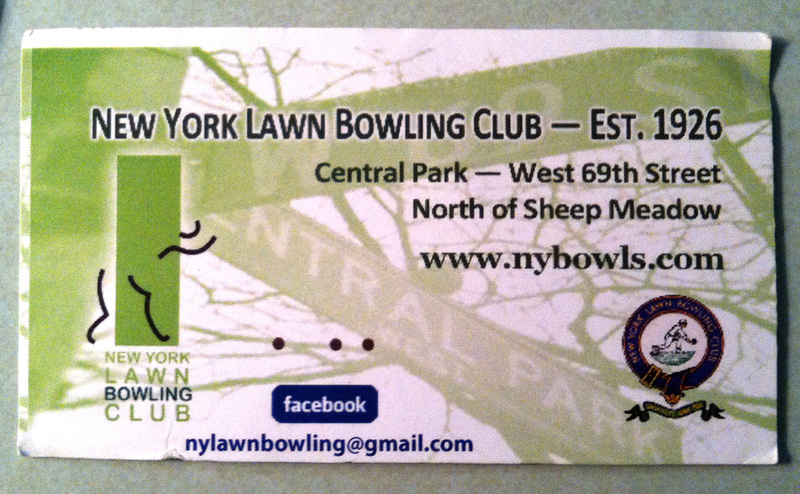 The New York Lawn Bowling Club, who have literally tens of thousands of people passing by their greens everyday, have developed an inexpensive way to give something out to anyone interested in the game. A business card with basic information and a calendar of their designated 'free lessons' times. If you visit vistaprint.com you can see several deals and they will often have price breaks lower than this. And these can be personalized to suit your club's needs. Thank you New York LBC for a great idea! The Northeast Division has created a brochure to pass out to its clubs.